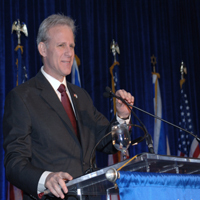 Dr. Michael Oren, Israel's Ambassador to the United States, gave a keynote address at the Summit. Right now, a worldwide campaign to delegitimize and demonize Israel is under way – and the use of boycotts, divestment and sanctions, or “BDS,” as tools to isolate Israel is seen by many as the second most dangerous threat to the country, after Iran’s pursuit of nuclear weapons. 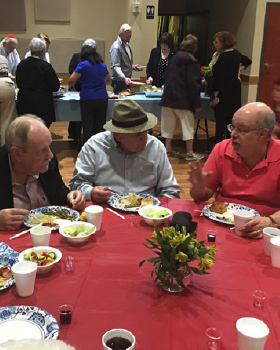 More than 1,200 concerned members of Miami’s Jewish community came together on Sunday, January 16 to become educated and empowered on this vital issue at a Community Summit Combating the Campaign to Delegitimize Israel. 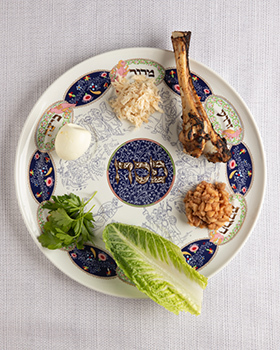 This event was convened by the Jewish Community Relations Council (JCRC) of the Greater Miami Jewish Federation, in partnership with the American Jewish Committee, the Anti-Defamation League, the Consulate General of Israel to Florida and Puerto Rico and the Rabbinical Association of Greater Miami, among many other supporting organizations and individuals. Longtime community leaders and Federation Past Presidents Michael M. Adler and Norman Braman co-chaired the Summit, which attracted people of all ages, including 250 high school and college students, who participated in advocacy workshops conducted by the Anti-Defamation League and AIPAC. U.S. Rep. Debbie Wasserman Schultz (D-FL) addresses more than 1,200 community members at the Community Summit on Combating the Campaign to Delegitimize Israel. 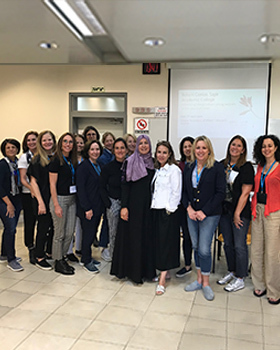 Education was the order of the day, and the program featured an impressive roster of Israel experts. Following remarks by U.S. Reps. Debbie Wasserman Schultz (D-FL) and Steve Chabot (R-OH), there was also a special video message from Ileana Ros-Lehtinen (R-FL). Subsequently, Summit attendees were treated to a pair of panels featuring high-profile Israel advocates. The first panel, moderated by William Daroff of The Jewish Federations of North America, was a “Conversation on the Global Delegitimization Movement,” and featured participation from Natan Sharansky, the famed Soviet refusenik who is now Chairman of the Executive of the Jewish Agency for Israel (JAFI); the Honorable Irwin Cotler, Canadian Parliament member; and Professor Alan Dershowitz of Harvard Law School. The second panel, moderated by Martin Raffel of the Jewish Council for Public Affairs, focused on “A Targeted Community Response” to the delegitimization movement, and included participation from Rachel Fish of Brandeis University; Daniel Pipes of the Middle East Forum; and Rabbi David Saperstein of the Religious Action Center. 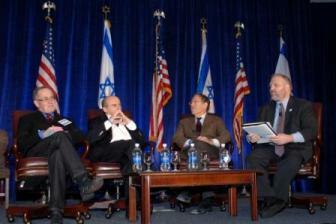 Alan Dershowitz, Natan Sharansky, Irwin Cotler and William Daroff participated in a panel discussion at the Summit. It was a stirring, inspiring speech peppered with history, personal reflections and a call to action. He stressed that just recognizing BDS was not enough: our community must organize to combat it, and has a responsibility to educate others on the threat and how it affects them. 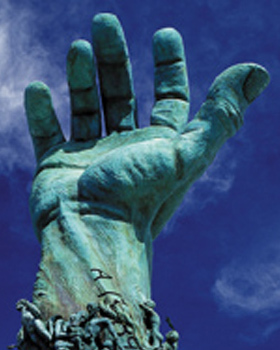 Click here for Israel advocacy tools. 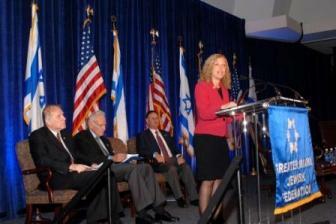 To see video from the Summit, visit JewishMiami.tv. Click here to watch Ambassador Oren's live interview with Michael Putney, which aired on This Week in South Florida.